The ultramafic body of Feragen contains primary rocks which are not completely serpentinised. These are dominantly dunite and lherzolite with lesser amounts of harzburgite and chromitite. Severe alternation to serpentinite has destroyed much of the original mineralogy and texture. Electron microprobe analyses of the primary minerals have shown that both the olivines and pyroxenes are highly magnesian. The chromites have a large compositional range. In the chromites a rare Ni-Fe alloy awaruite (josephinite) is present that is generally regarded as being secondary. 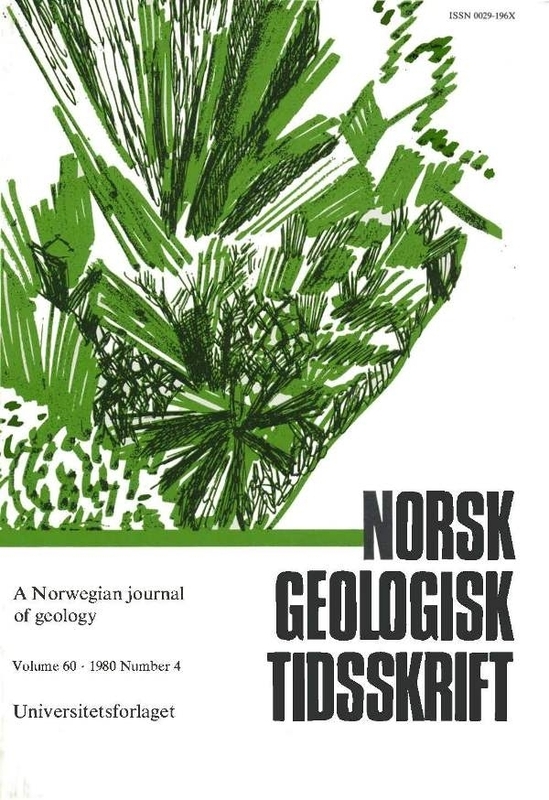 The textures and mineralogy of the rocks are interpreted, indicating that the Feragen ultramafic body has been formed by cumulate processes at pressures near 16 kbar in a back-are environment prior to tectonic emplacement during the orogensis which produced the Trondheim Nappe.